Rhythmic Chants for Learning Spoken Chinese focuses on communicative functions, with an emphasis on repetitive vocabulary practices and progressive sequencing of the language structures. The most distinctive feature of this series is the rhyming texts, which allow students to read the texts aloud and memorize them easily. It comes with an audio CD to support learning development. 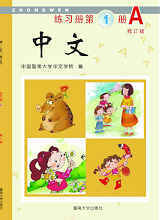 The textbook is written in Simplified Chinese character, Pinyin and English. 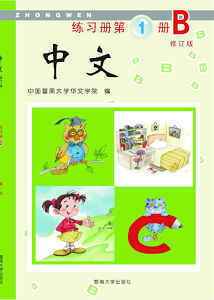 The textbook is for Introduction of Chinese (IC) and Introduction of Chinese for Children (ICC). 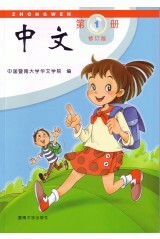 The teacher will also use other supplementary materials. Textbook for Chinese language class can be purchased on the first two (2) school days, as well as the last school day of each semester. Otherwise, please send request including your name, volume and amount needed via email to school@greatwall.org by Friday. The school officer will bring your book to school on Sunday. The companion CD will be distributed to registered student during the semester with no extra charge. Textbook for SAT and other classes will be assigned by individual teacher. You could purchase it elsewhere.